Impressive atmosphere of brick building. 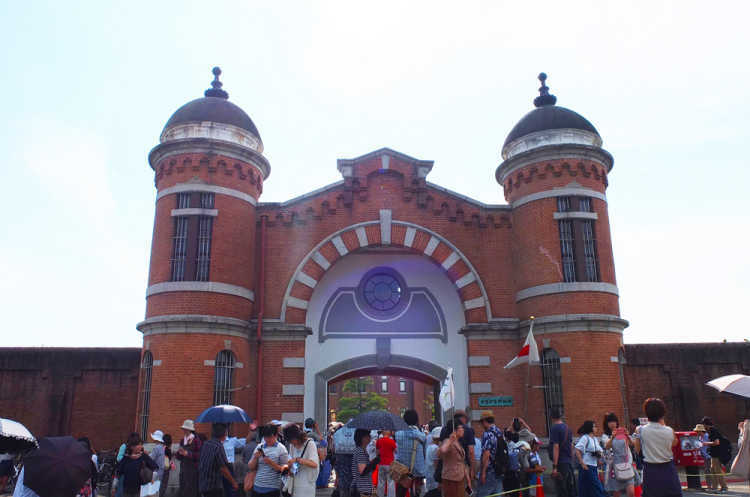 It was built more than 100 years ago, and it's the only one existing among 'five great prisons in Meiji Period'. It was used actually up to a few months ago, and will leave the old and good parts to be used for a historical hall from now on.◎Rebuilt for quake-proof engineering, it will become a hotel and historical hall around 2020. You can't enter the building, but only the gate and wall are impressive!